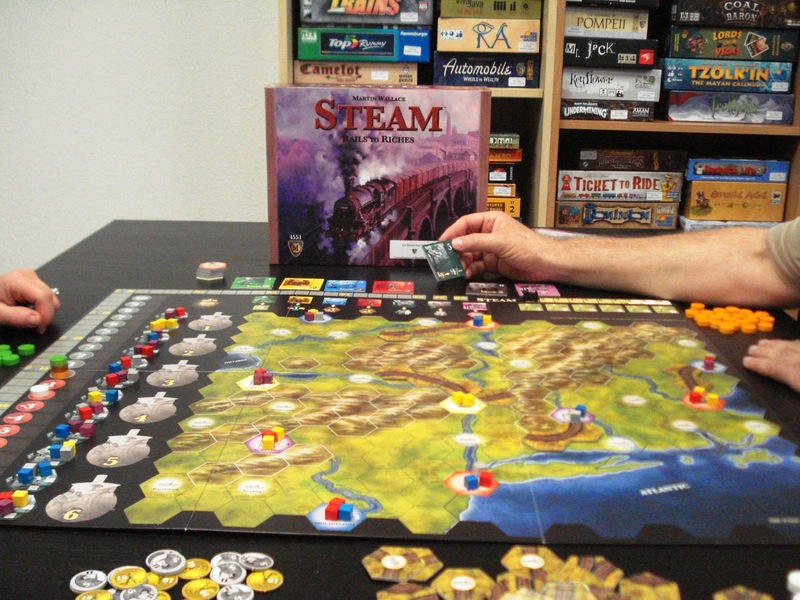 Steam designed by game designer Martin Wallace, contains a beautiful, double-sided game board. The map on each side depicts terrain, towns, and cities at the start of the railway age. The map of the northeastern USA and neighboring Canada is played with 3 to 4 players. On the reverse side is a map of Europe’s lower Rhine and Ruhr region for a 4 or 5 player game. In Steam players build railroads and deliver goods along an ever-changing network of tracks and stations. Players build the tracks, upgrade towns, improve towns, improve their train, and grab the right goods to make the longest, most profitable deliveries. Score your deliveries and add to your income or victory points, balancing your need to invest against your quest to win the game. 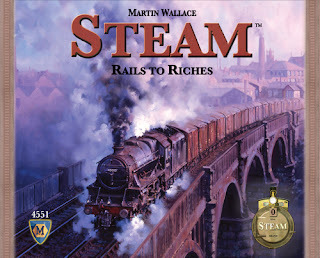 We have an open copy of Steam available in our Demo Games Library for you to come in and try.